The views and opinions expressed in Opinions on Housing are solely those of the original authors, and do not necessarily represent those of VHDA, our stakeholders or any/all contributors to this blog. The U.S. Government Accountability Office (GAO) yesterday released its report on federal oversight of the Low Income Housing Tax Credit program, which concludes that there are deficiencies in the Internal Revenue Service’s (IRS) oversight of the program and recommends that Congress consider designating HUD as a joint administrator of the program. GAO finds IRS oversight of HFAs and the program in general to be minimal, citing the limited number of audits IRS has conducted of HFAs and Housing Credit investors over the life of the program. Without regular monitoring, GAO contends that IRS is unable to determine the extent to which HFAs comply with program requirements. It also criticizes IRS for not regularly reviewing state Qualified Allocation Plans (QAP), not setting goals or assessing the program’s performance, and for having inadequate and unreliable program data. Senate leaders have removed a provision that would have rescinded unobligated Hardest Hit Fund (HHF) program funds from a transportation reauthorization bill (the DRIVE Act) that it is currently considering. NCSHA summarized the now-deleted provision in a blog post published yesterday. Senate Majority Leader Mitch McConnell announced the change this morning on the Senate floor when he introduced an amended version of the DRIVE Act. McConnell then undertook a parliamentary procedure to effectively limit the number of amendments to the bill that the Senate may consider. Consequently, it is all but assured that the final version of the bill the Senate votes on next week will not include language rescinding HHF funds. Let’s take a tour of some of the VHDA financed developments providing quality housing in the Greater Richmond area. The Locks is an adaptive reuse of historic warehouses situated directly on the Kanawha and Haxall Canals. The four historic buildings of The Locks were originally built along the canal system as warehouses for the tobacco industry. These urban apartments are centrally located in Richmond’s business district and are close to dining, shopping and entertainment venues. A loft apartment home at The Locks puts you in the middle of anywhere you want to be. Aiming to reinforce the administration’s commitment to the Fair Housing Act, President Obama dedicated his latest weekly address to the act and its impact on fighting discrimination in housing. On July 16, HUD published the Affirmatively Furthering Fair Housing (AFFH) final rule in the Federal Register. HUD published the AFFH final rule on its website on July 8, but the rule’s official publication is the date on which it appears in the Federal Register. The rule replaces the current Analysis of Impediments requirement with a new Assessment of Fair Housing requirement for HUD participating jurisdictions. The rule’s effective date is August 17, 2015. HUD also published July 16 a notice announcing modifications it is making to the Fair Housing Assessment Tool for local governments and soliciting comments on those revisions. HUD will be publishing a separate Assessment Tool for states. The Assessment Tool is intended to help local governments complete their Assessment of Fair Housing (AFH), as required by the AFFH regulations. It will provide instructions for completing the AFH, nationally uniform data provided by HUD, and a series of questions designed to help local government program participants identify areas of racially and ethnically concentrated areas of poverty, patterns of integration and segregation, disparities in access to opportunity, and disproportionate housing needs. July 14, the House of Representatives passed The Private Investment in Housing Act of 2015, H.R. 2997, by a vote of 395-28. The bill would authorize a pay-for-success demonstration program that leverages private funding to improve the water and energy efficiency of HUD multifamily developments. The bill would authorize HUD to enter into performance-based contracts with private sector intermediaries who would fund and oversee utility efficiency upgrades for existing residential properties. 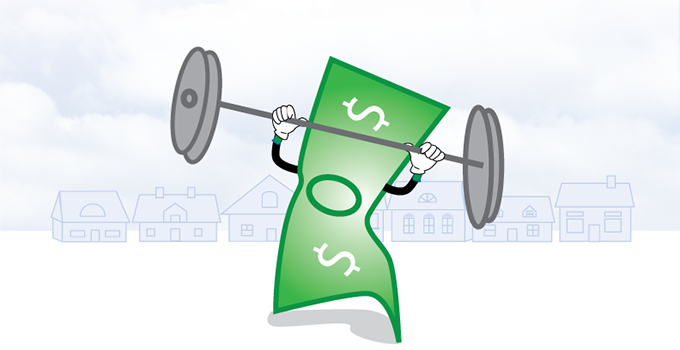 Investors would receive a percentage of energy savings as repayment from HUD only after the savings are verified by a third party. The demonstration program would last for four years, beginning in FY 2016. Up to 20,000 units in Project-Based Section 8, Section 202, and Section 811 properties would be eligible to participate. More leading mortgage and housing industry trade groups are asking the Consumer Financial Protection Bureau to push back its effective date for the Know Before You Owe mortgage disclosure rule to the end of the year, or at least extend the grace period. For now, the CFPB proposes to move the rule’s effective date to Oct. 3, 2015, from its original Aug. 1 date and its subsequent Oct. 1 change. The rule, also called the TILA-RESPA Integrated Disclosure rule, requires additional mortgage disclosure forms and a more complex compliance apparatus for lenders. The required loan documentation consists of two new forms: the Loan Estimate and the Closing Disclosure to ensure compliance. As many of our partners and stakeholders may remember, homelessness among Virginia’s children and their families was decreasing until 2008 when the financial downturn struck. The result was high rates of unemployment and poverty that increased homelessness across the state. In response, Virginia released a plan in November 2010 to reduce homelessness by 15 percent by 2013. One of the main strategies of the plan was to increase rapid re‐housing through collaboration by the Virginia Department of Housing and Community Development (DHCD), the Virginia Coalition to End Homelessness and the National Alliance to End Homelessness in a new initiative sponsored by the Freddie Mac Foundation. The goal of the initiative was to help Virginia communities improve the availability of affordable housing for children—and their families—experiencing homelessness by increasing the provision of rapid re‐housing. Rapid re‐housing is a model that views obtaining housing as a critical first step in helping families (and individuals) live productive lives. Once in housing, tailored services are delivered to ensure the family remains in housing and does not experience homelessness again. VHDA is pleased to help spread the word that Virginia’s rapid re-housing initiative proves that, with a relatively small investment over a three-year period, a state can re-tool its family homelessness system and improve its effectiveness to significantly reduce homelessness. 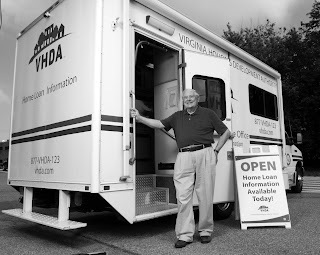 Here’s where you can read all the details about the project, and the supportive partnerships, that enabled Virginia to redesign its approach to family homelessness to one centered on rapid re-housing. 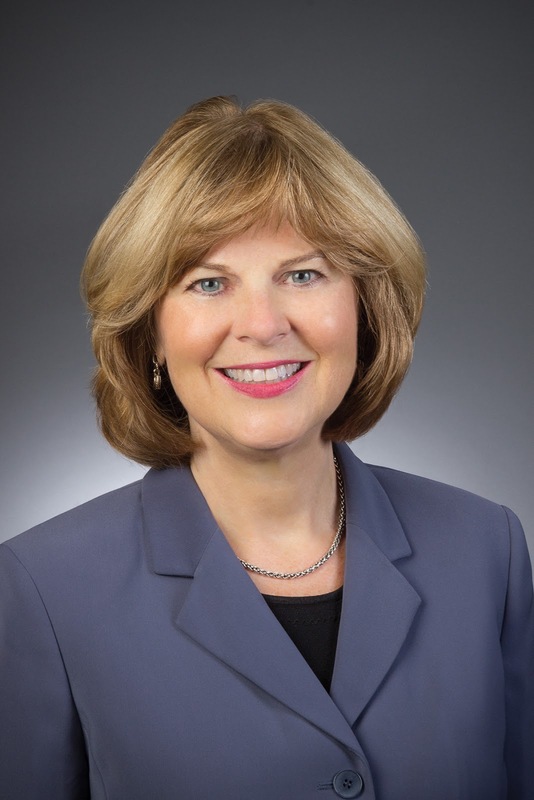 Susan Dewey, our Executive Director, was one of nine housing finance authority executives to talk with Affordable Housing Finance magazine about QAP changes, cost containment and preservation of existing affordable housing. One new 2015 strategy she discusses is VHDA’s focus on energy efficiency in rehab deals that includes increased developer fees for tax-exempt developments that pursue LEED/EarthCraft certification. She also notes that the most common mistake VHDA sees developers making when applying for Housing Credits is not reading the instructions thoroughly. Here’s where you can read the entire interview, including what she had to say about the biggest change made to our 2015 QAP, strategies being implemented to preserve existing affordable housing and what VHDA is doing to address cost containment. We’ve shared information about the Housing & Schools Symposium co-hosted by Housing Virginia and VCU's Center for Urban and Regional Analysis before. If you haven’t seen it yet, you can view slides, photos and more from the 2014 and 2015 events on Housing Virginia’s website. These sessions, which focused on the intersection of housing and education policy, brought together educators, housing experts and public officials. Now Housing Virginia is asking for your help. Housing Virginia is soliciting input to help develop a Housing & Schools Toolkit, featuring tools and resources to help equip community leaders to start their own "Connecting Housing & Schools" conversations. We hope you’ll add your voice by completing their short survey — only nine questions — at https://www.surveymonkey.com/r/GCLWPHF. How do you provide affordable home loans to residents in rural areas where banks aren’t easily accessible? That was the question facing the Virginia Housing Development Authority (VHDA) in 1996 when it began expanding the availability of its affordable mortgage loans to first-time homebuyers in the Eastern Shore, Northern Neck, Southside Virginia, Southwest Virginia and surrounding counties. The answer? You go the extra mile with the VHDA Mobile Mortgage Offices — a pair of recreational vehicles converted to offices on wheels. The job is to deliver a customer-friendly environment with Internet access and the personal assistance of Michael Locking, a VHDA mortgage professional with 20 years of experience who services Southwest Virginia, and Allen Andrs, a VHDA mortgage professional with 30 years of experience who serves the Eastern Shore, Northern Neck and Southside Virginia. Republicans and Democrats are locked in an increasingly bitter debate over government spending, with few legislative weeks remaining to avoid another shutdown this fall. Bolstered by veto threats from President Obama, Senate Democrats are vowing to block all GOP spending bills, arguing the legislative work is pointless until Republicans come to the negotiating table. “Republicans’ current appropriations strategy is only driving our nation toward another government shutdown,” House Democratic leaders said in a letter sent last month. Republicans, meanwhile, have slammed Democrats as using obstructionist tactics, labeling their strategy the “filibuster summer.” Democrats need to “pull their party back from a senseless path of forcing endless filibusters and a shutdown no one wants but the hard left,” Senate Majority Leader Mitch McConnell (R-Ky.) said in a floor speech. The debate is certain to heat up when lawmakers return from the July 4th recess, with no guarantee that lawmakers can find a way to avoid the second shutdown of the federal government in two years. A new study from HouseCanary shows how demographics shifts are reshaping demand for residential real estate. “The vast imbalances in wealth and homeownership among Baby Boomers (age 55+) and Millennials (ages <35) are resulting in wide disparities in the demand for home buying versus renting,” according to J.P. Ackerman, President at HouseCanary. “Our analysis indicates that rising interest rates and home prices will exacerbate the situation as the Millennials’ ability to purchase homes will be severely jeopardized as monthly payments get further out of reach.” Boomers have historically fueled the housing market as they entered each stage of life. They drove growth in the entry-level market during the 1970s and 1980s, the move-up market in the 1990s and 2000s, and will fuel household growth over the next 20 years due significant wealth and high homeownership rates. For our partners and stakeholders looking for a complete understanding of the legal foundations of community planning in Virginia, and insight into current planning practices and approaches, this program is for you. Hosted by Virginia Tech as part of its Land Use Education Program, the event includes two training sessions (Sept. 28-29 and Dec. 10-11) and a 10-week self-study component. The ever-growing and changing legislation that mandates and regulates the operation of planning programs and procedures makes professional training a necessity. The Certified Planning Commissioner program is designed to provide the legal and technical background needed by citizen-planners and decision makers. The program thoroughly covers the law and principles that guide planning practices so the participant can learn and understand both why and how to properly handle the various matters that come before a planning commission. The deadline to register is Monday, September 14. Space is limited and registration is on a first-come, first-served basis. You can learn more — and register — here. Your Community’s Little Instruction Book: The basics of putting together a comprehensive plan. 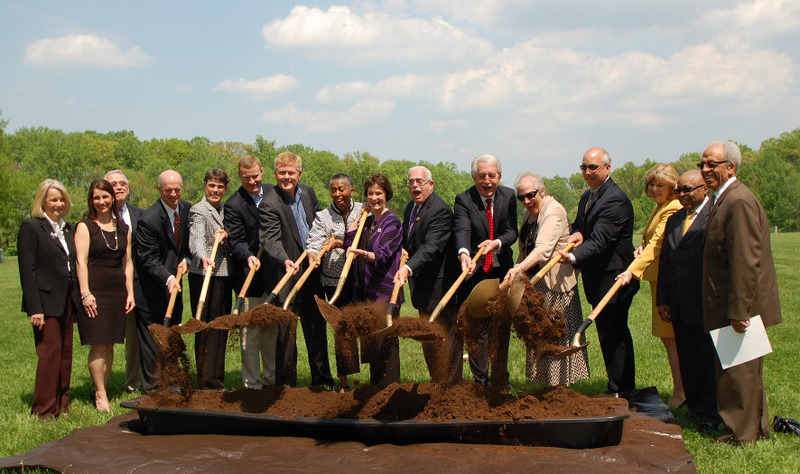 Groundbreaking on a new workforce housing development in Fairfax County, financed in part by VHDA, took place on May 5. This new development, named The Residences at Government Center, is the first of its kind in Virginia to use a financing structure that mixes both 9% and 4% tax credit allocations from VHDA, as well as tax-exempt bonds from the Fairfax County Redevelopment and Housing Authority (FCRHA) and other financing sources. The Residences at Government Center will include 270 LEED® for Homes-certified apartment units along with a number of amenities, including fitness and hospitality areas and a multi-level parking deck. All units at the Residences at the Government Center will be leased to households earning up to 60% of the Area Median Income. The public-private partnership is designed to create an economically viable housing option for Fairfax County’s low- and moderate-income workforce, enabling county workers to live closer to where they work instead of in surrounding counties. The site is located on the Fairfax County Government Center campus, with the main entrance off Monument Drive, across from the Fairfax Corner mixed-use development. In a 5-4 decision, the Supreme Court today issued its opinion ruling that disparate impact claims may be used to support plaintiffs’ claims of alleged Fair Housing Act (FHA) violations. Justice Kennedy wrote the Court’s opinion, joined by Justices Ginsburg, Breyer, Sotomayor, and Kagan in the case of the Texas Department of Housing and Community Affairs (DHCA) v. Inclusive Communities Project, Inc. The decision remands the case to the Fifth Circuit Court of Appeals for further proceedings consistent with the Supreme Court’s opinion. The plaintiff in the case, The Inclusive Communities Project, claimed that Texas DHCA had caused continued segregated housing patterns by allocating a disproportionate amount of the state’s Housing Credits to developments in predominantly black inner-city areas. Earlier today, the Senate Appropriations Committee voted 20 to 10 to pass the Fiscal Year (FY) 2016 Transportation, Housing and Urban Development, and Related Agencies funding bill. Appropriations Committee Ranking Member Barbara Mikulski (D-MD), and Senators Dianne Feinstein (D-CA), Brian Schatz (D-HI), and Tammy Baldwin (D-WI) joined the Republican members of the Committee to report the bill for consideration by the full Senate. 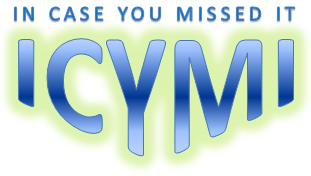 Full Committee consideration of the measure followed the Subcommittee mark-up on June 23. The bill would effectively eliminate the HOME Investment Partnerships (HOME) program—a critical program that is central to HFAs’ ability to meet their states’ affordable housing needs. It provides just $66 million – a staggering reduction of 93% from HOME’s already record-low FY 2015 funding level of $900 million. According to HUD, if HOME were zeroed out in FY16 and not funded at the President’s requested level of $1.06 billion, there would be a loss of an estimated 38,665 affordable housing units (16,045 homebuyer units, 15,099 new or rehabilitated rental units, and 7,521 owner-occupied homes rehabilitated for low income homeowners), and 8,813 fewer families would be assisted with HOME tenant based rental assistance. On June 22, HUD published new background resources for the Housing Trust Fund (HTF) program, including a Frequently Asked Questions (FAQ) document, a summary of the interim rule, and a video on HUD’s YouTube channel providing an overview presentation of HTF. The FAQ addresses questions about the HTF Annual Action Plan, including how and when states can submit HTF allocation plans to HUD, administrative requirements regarding when a state must notify HUD of which agency will administer HTF, and whether states will be allowed to charge pre-award costs to HTF planning activities. The FAQ confirms that Davis-Bacon Labor Standards will not apply to HTF. We recently introduced our Mortgage Credit Certificate (MCC) program, which could save a first-time homebuyer thousands of dollars by reducing the amount of federal income tax they owe. To qualify, homebuyers must be first-time homebuyers, or not have owned a home during the previous three years – but this requirement may be waived if the home is in a Federal Targeted Area. The home must also be used as their principal residence, and VHDA’s maximum income and sales price limits apply. News Flash! FREE Energy Benchmarking webinar! Interested in reducing your operational costs through utility savings? Not entirely sure where to start? Looking for an easy way to understand the energy performance of your buildings? All of these questions, and more, can be addressed by a FREE Energy Benchmarking webinar, to be held Thursday, July 9 at 11 a.m. Click here to register. How to monitor the results from work that has been completed to measure progress and to determine whether efficiency goals are being achieved. The webinar is sponsored by Virginia Community Capital, WegoWise and Elevate Energy. Owners of affordable multifamily properties may be eligible for one year FREE use of WegoWise (a utility benchmarking service provider).